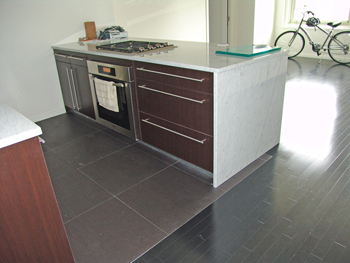 Elegant floor coverings are the perfect way to add beauty and style to your new home or remodeling project. However, often times, wood, stone, marble and tile floors only appear inviting but are uncomfortably cold. 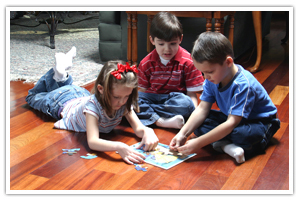 Radiant floor warming systems add comfortable warmth to your home from the floor up. Radiant floor warming systems provide quiet, constant, uniform heat under cold surfaces leaving them comfortable to the touch and adding unseen elegance to your home. 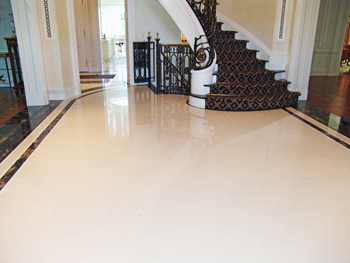 If you are building a new home, remodeling any of your floors or have the ability to heat from the floor below, now is the time to add this wonderful luxury. 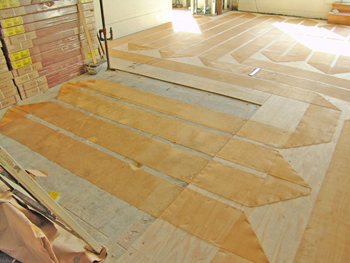 Comfort Radiant offers two element styles for low voltage radiant heating. Both can be used as floor warming or as a primary source for heat. Both Zmesh and Tuff Cable heating elements are cut to length in the field making them the most versatile element available. This allows for coverage in any design imaginable with no cold spots. 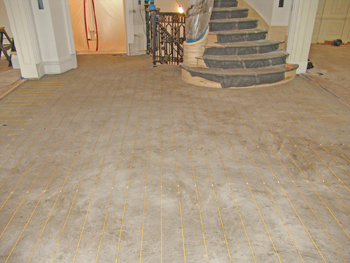 Zmesh is installed directly under solid, engineered or floating wood, carpet or linoleum floors with no floor buildup or structural support required. This unique heating element can also be retrofit up between floor joists below the existing floor or room above. Tuff Cable low voltage systems are installed when warming any type of stone floor as well as polished or stained concrete. The Tuff Cable low voltage element is also available in Floorizwarm Kits for small area applications to fit any size space ranging from 15sf to 110sf.